Hi there! Its the Honey Monster here. Join me on Fun Kids everyday, either interviewing some of my celebrity friends, reviewing the latest film releases and giving you top tips on the best places to go in the UK. 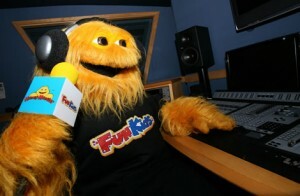 Listen to my Honey Monster Reports every weekday morning at 8am and at 1pm in Round at Matts on the weekend.